Pictures do not do this unique villa justice. 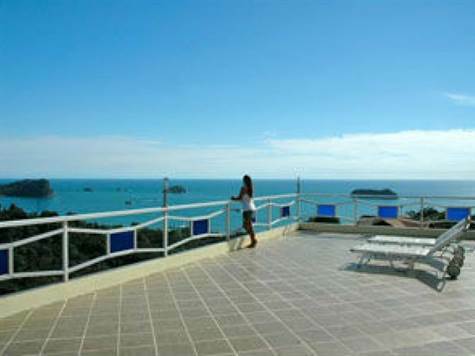 Its modern style creates a wide-open feel to showcase Manuel Antonio's most sought after Ocean and National Park views. As you enter the home, the huge view greets you immediately. There are large sliding glass windows and real hard wood floors that have been recently reconditioned and a large modern kitchen.